Responsible for creating design solutions, concepts and layouts. Responsibilities also include Branding, Artwork, Advertising, Social Media Management and Video editing. Candidates should have 3­ - 5 years of experience. Salary package will be decided based on experience and knowledge. Applicants that can start immediately are preferred. An exciting opportunity has become available in one of UAE’s Reputable Events Company, making a room for a talented and enthusiastic 2D Designer, preferably Male Arabic. The primary function of this role is to work as a member of the Design Team producing the visual design concept for every client using different colors, illustrations, simulation and various print and layout techniques for an Events Management industry.  Five years minimum experience in Design Production industry.  Should be an expert in Autocad, Adobe Illustrator and Photoshop.  College graduate or a degree holder.  Can work in tight deadlines. This is a great opportunity for an enthusiastic and emerging designer to be part of an expanding Events company. • Develops and maintains plan for organization’s Internet presence, based on management priorities, policy directions, and goals. • Creates enhancements and modifications to web sites; organizes and maintains the sites. • Assesses new standards, technologies and trends, and formulates strategies and plans for future enhancement of web sites. • Programs and uploads pages to the web sites. • Ensures that web sites are accessible from a variety of different environments. • Produces a consistent visual image on the web sites including maintenance of templates and image archives. • Ensures that images are delivered to the viewer at sufficiently high speed and quality. • Creates image links, and ensures that links are up to date; updates information on pages and databases so that content is current. • Troubleshoots and repairs bugs and problems. • Responds to web designer mail; provides and analyzes traffic statistics and reports. • Develops, researches, writes/edits and creates layout for new sections/features. We are looking for interns for a specific project of re-designing and re-structuring our website from both graphical/content and SW perspective. Please note that this is an unpaid internship and you must have your own visa. We offer a you a unique chance to get work in a startup that will really change the way smart devices communicate in the future. It is a one-time opportunity to get to work with and learn directly from a group of very senior executives who have over 30 years of business experience in telecom and ICT. Our team has started over 50 Mobile operations across the globe for companies such as Vodafone, Du, Etisalat, Mobily, STC, Zain & Ooredoo, just to mention a few. If you like challenges and want to learn how to manage, here is a job for you. 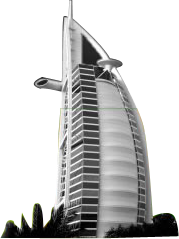 RPMAnetworks is a Dubai-based young and fast-growing operator of dedicated networks for Internet of Things. We use a new communication technology called RPMA designed for low-cost IoT/M2M devices. We are a small team involved in launching countrywide networks for smart devices in the UAE, Saudi, Malaysia, Qatar, Kuwait, Oman, Bahrain & China over the next 12 months. You are a student/graduate of a 4-year degree accredited program, autonomous and proactive, motivated, willing to learn and able to adapt to evolving expectations. Candidate experienced both in print and web for min. of 3 yrs. Well versed in Adobe applications, ie. Illustrator, Photoshop, InDesign, Dreamweaver, HTML & CSS is a must. Knowing video mixing, editing and exhibition 3D works is an advantage. Having eye for details, creative interest and visualizing skills is important. Arabic knowledge may be a credit. Immediate position, candidates in visit visa preferred. We’re looking for a Creative greeting/invitation graphic designer. Position could be part time or full time basis depending on candidates current employment situation and visa circumstances. Candidate should have a minimum of 3-5 years design experience. Highly creative and conceptial portfolio demonstrating excellent use of color/surface pattern design, layout, illustration and typography skills. Highly professional in adobe photoshop and illustrator. Candidate must reside in the UAE. Hardworking individual keen to learn and can work as part of creative and innovative team. Salary: (full time) 6000 aed per month (+ commission). We are searching for outstanding web developers to be responsible for developing innovative, reusable Web-based tools for progressive online activism and community building. Our web developers work closely with our project managers, strategists and design team members to develop specifications and make recommendations on the use of new and emerging technologies. Programming, graphic design and database administration are all elements of this position.